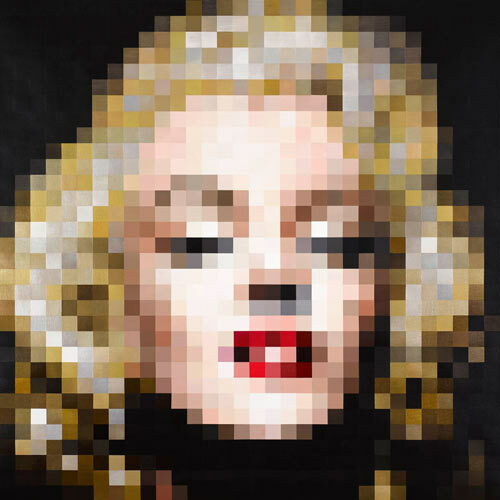 From the "Pixelism" series… the Hollywood Icon! M2 is being offered as a giclée on canvas print with a limited production of 75 signed and numbered prints. The canvas measures 40" x 40".